Magpies do not always have the best reputation, as they are generally known for their tendency to steal shiny things. Also other bird species tested for prosociality so far turned out to be either indifferent to benefitting others or only provided food when the other repeatedly begged for it. Azure-winged magpies seem to be the exception to the rule. They provided food to their group members spontaneously and without the other birds begging them. "This so-called 'proactive prosociality' has long been believed to be a human hallmark", explains lead author Lisa Horn. It was however suggested that cooperative child rearing promoted this tendency to benefit others without expecting anything in return in early humans. In line with the hypothesis, researchers also found evidence for prosocial behavior in cooperatively breeding primates. "But so far results from other animal taxa were missing", says Horn. 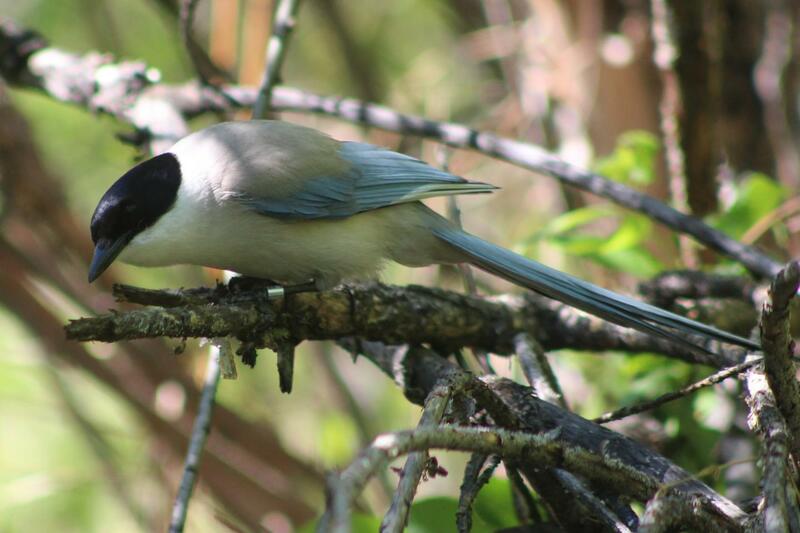 Therefore, Horn and colleagues tested prosociality in a cooperatively breeding bird species — the azure-winged magpie — using an ingenious experimental design. By landing on a perch, the birds operated a seesaw mechanism, which brought food into reach of their group members. If the birds wanted to grab the food themselves, they would have had to leave the perch and the seesaw would tilt back, thereby moving the food out of reach again. Even though the birds thus could not get anything for themselves the magpies continued to deliver food to their conspecifics across all sessions and at similarly high rates as humans and cooperatively breeding primates. Also, the birds only operated the apparatus when their group members could actually obtain the food, and not in a control condition where access to the food was blocked. "Our results seem to support the hypothesis that raising offspring cooperatively may have promoted the emergence of prosocial tendencies not only in humans, but also in other animals. Further tests of non-cooperatively breeding birds are, however, needed", concludes Horn.